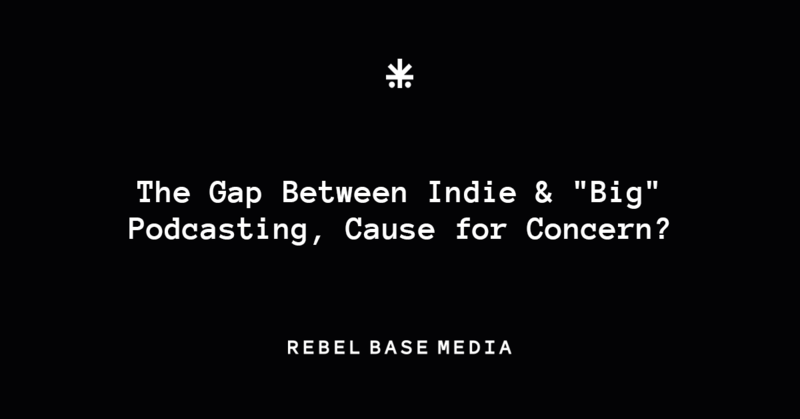 Rebel Base Media creates technology and solutions that help podcasters to find, amplify and build influence around their unique voice. 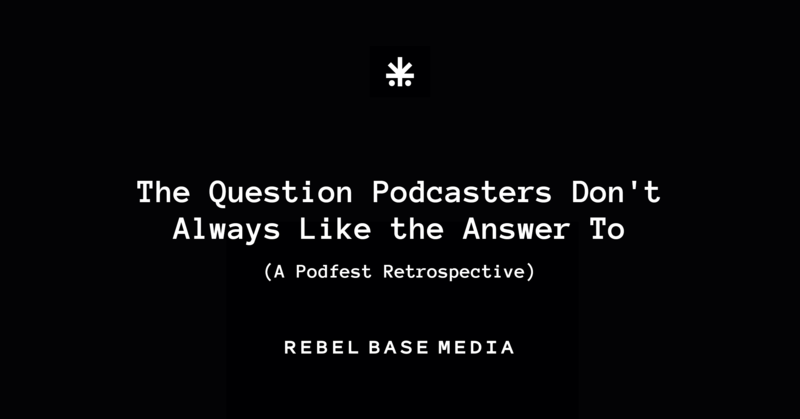 Founded in 2015, we’re podcasters too. Why are so many podcasters struggling to grow their show? Simple: there's a difference between hitting "record" and hitting your goals. The Rebel Base Media team hit Newcastle, to take our Captivate podcast hosting platform & mobile recording studio to ATOMICON 2019, but was it any good? 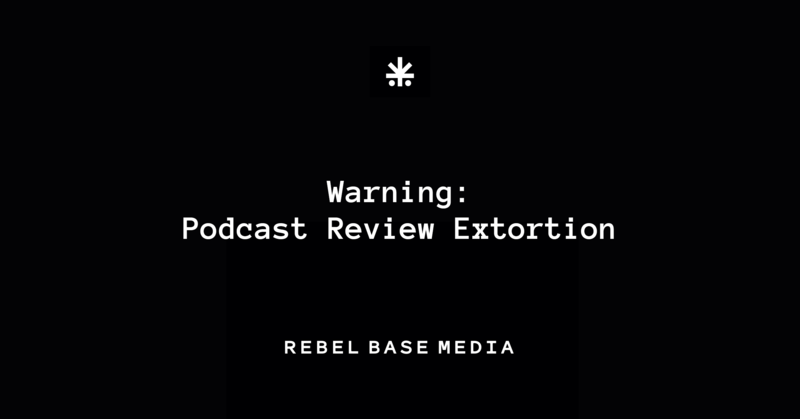 A short case study of a podcaster receiving an extortion attempt by a scammer on social media. Please share with other podcasters. Heading to Podfest Multimedia Expo in Orlando, Florida for a week of podcast education and, well, partying? Here's our attendee guide - enjoy! 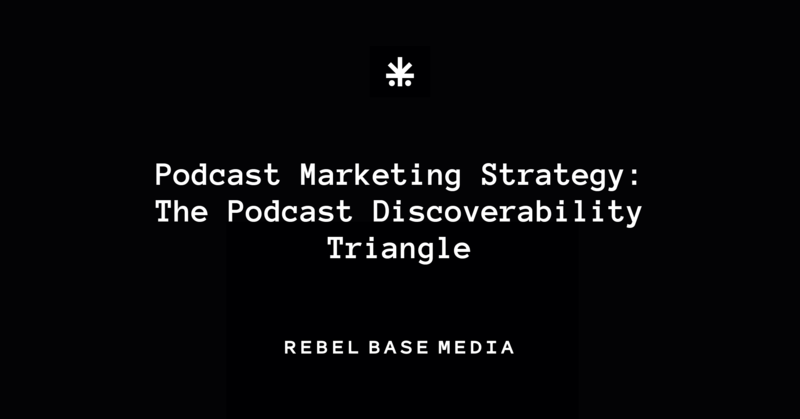 This huge podcast marketing must-read digs deep into how to build a multi-tiered podcast marketing strategy based on the podcast discoverability triangle. An in-depth analysis of the recent "Werk It Survey: How Much Do You Get Paid to Podcast", good, bad or ugly? 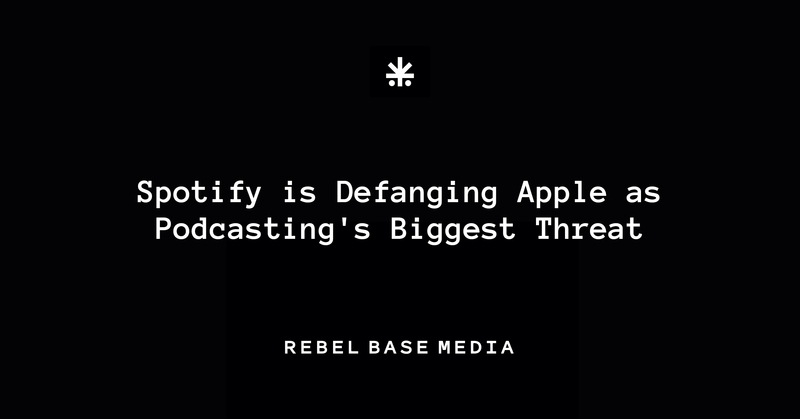 Apple has potentially become the biggest threat to podcasting; Spotify's acquisitions of Gimlet Media and Anchor go someway to beginning to defang that. What if all of those seemingly inocuous "top 10 podcasts" lists aren't as harmless as we think, in this age of discoverability challenges for the industry?